On Friday’s Mark Levin Show, Not a single indictment was issued related to Russian Collusion with the Trump Campaign, per Robert Mueller. Nobody has been charged and nobody will be charged. A prosecutors report is not the finding of a court, it’s simply who was prosecuted and who they won’t prosecute. The media is at the edge of their seats because a prosecutor delivered a report to the Attorney General. The media’s legal analysts are salivating and suggesting mistruths to benefit their narrative. The ignorant media is reaching for a reason to spin this regulatory and statutory process against Trump. This will add fuel to the fire for the left trying to paint the picture that Trump obstructed justice by firing James Comey, in an effort to impeach him. Albeit illegitimate, this may be the route that Democrats take. Also, there is no DOJ memoranda that says that you can indict a sitting president, and Mueller himself just said there will be no further indictments! 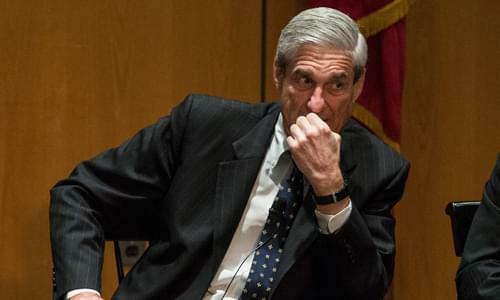 The Attorney General must review the report from Mueller which includes secret Grand Jury testimony which cannot be made public under rule 6e. The AG must review if any top secret or classified methods or sources were revealed in such testimony. Afterwards, the real story of March Madness is the slew of Democrats running for president in 2020. Finally, Victor Davis Hanson calls in to discuss Mueller, 2020 Democrats and Israel.